Flame On - Boiler Installation Manchester - £850 if Fit by Fri! We are listed on Plumbing Companies in Greater Manchester, Manchester Pest Control, Flowers Saint-Petersburg, business directory, b2blistings.org, Saney Directory UK and Manchester Directory. If you have looked into boiler replacement in Manchester, you may have concerns about the cost of fitting a new appliance. However, if your boiler requires replacing it is imperative that you do not put off having a new one installed. Not only will a new model be much safer, it will also save you money in the long run because it will be more energy efficient. But how do you know if your existing boiler needs to be replaced, or if it just requires a service? Here are the signs that you should be investing in a new model. An old boiler does not always require replacement, as long as you remember to get it serviced annually. However, if you still have a model with an open flue then it is almost certainly worth paying for a new boiler. This is because this type of system tends to only run at around 65 percent efficiency, even if well maintained. Therefore, it is likely that you are paying much more than you need to on your heating bills. You should also replace an old boiler if an engineer tells you that it is difficult to source spare parts. Once parts become difficult to find, or even obsolete, your repair bills will rise rapidly. There is also an increased risk that you will be left without heating for several days if an engineer cannot immediately obtain the right part, or you may find that the boiler is condemned without notice. If the pressure valve is constantly low on your boiler, or if it frequently develops niggling faults, you should think about looking into companies who deal with boiler replacement in Manchester. 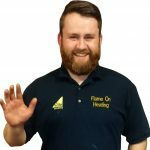 A series of minor issues is usually a warning flag that a more serious problem is just around the corner, and since faults usually occur when the boiler is in frequent use, this is likely to happen just when you need it most. In the worst case scenario, a faulty boiler can be lethal. If you notice an unusual smell emitting from the appliance then it could be a warning sign that it isn’t burning properly. This can cause a dangerous carbon monoxide leak. You should always install a carbon monoxide detector near your boiler, as the gas itself is odourless. If your radiators seem lukewarm or your hot water tap is dispensing tepid water, it is likely that your appliance is faulty. Another warning sign is if your radiators keep turning on and off all day. An inefficient boiler costs more money to run, as firing the appliance up burns the most energy. The cost of installing a new boiler is more than worth it when you take the benefits into account. An efficient appliance can save you significant money on your gas bill, and you will almost certainly notice the difference in how easy it is to heat your home. When To Call Boiler Replacement Specialists In Manchester? Home owners often ask when the perfect time is to replace their heating system. Because boilers are among the most important investments at home, home owners should make sure that they are working effectively. Therefore, it is crucial to know when to replace them before they cost more repairs or become unsafe for the family. When To Hire Boiler Replacement Specialists? 1. Evaluate the condition your own heating system. One of the signs indicating the need for a boiler replacement is when the amount of energy it loses is higher than the amount of energy it utilizes. If this happens, the room where the boiler is installed will be warmer than the other parts of the house. This may need replacement as it can increase the energy bills that you are paying. 2. Check how old your boiler is. Boilers are generally made to last up to 15 years. If your own heating system is properly maintained, then you don’t need to worry about calling for boiler replacement specialists in Manchester. Instead, just focus on improving the energy-efficiency of your house by looking at your other appliances and making sure that they are functioning optimally. But if you are not maintaining the boiler regularly and it is older than the average life expectancy, you should start looking for professionals offering boiler replacement services in your place. 3. Inspect the metal inside the boiler. This method is the most reliable way of assessing the condition of a heating system. It should be done at least once a year. Usually, boilers have handholes that can be removed easily so that the owner can inspect the inside. Before inspection, you will need to shut the boiler down and drain it first to open it up. 4. Check your energy bills. You may be surprised to find that your bills are rising every month. You may consider the heating system as the cause of the increasing energy bills. As they age, boilers lose their efficiency especially if you do not properly maintain them. As a result, they may run longer and use more energy to be able to provide the amount of heat you need. 5. Check for signs of poisonous carbon monoxide. You should monitor your own boiler and take note of the signs given. If these signs are taken for granted, the boiler may produce carbon monoxide that can cause different illnesses to you and your family. When it comes to the installation of new heating systems at home, boiler replacement specialists in Manchester are the right people for the job. The tips given above will help you determine when it’s time to call a professional for assistance. If you are looking for a boiler installer, consider shopping around and speaking to as many specialists as possible so you can get the best deal.